Waking up cold and alone, you’ve been ‘Kidnapped’. Traverse through a terrifying two hundred year old manor, dark damp caves, an eerie forest full of wildlife and more. 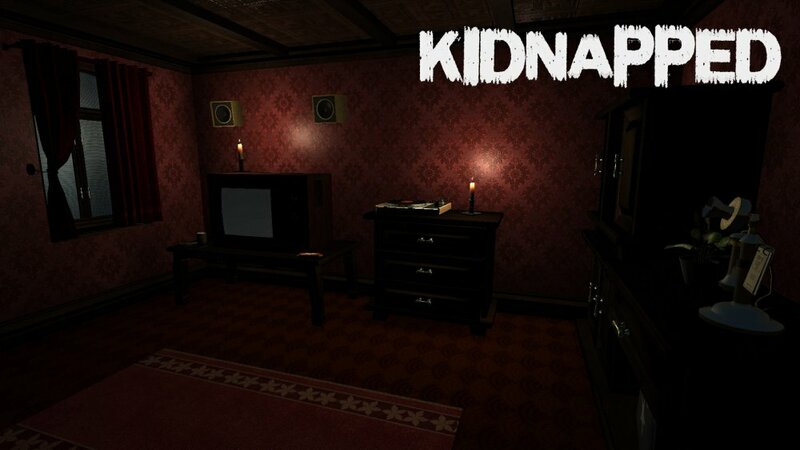 Kidnapped is a psychological story-driven adventure horror game, with a great emphasis on exploration, puzzle solving and combat. A large number of objects in the game world can be interacted with, whether examined, used, or picked up. Kidnapped dynamically changes the game world as the player progresses, and aims to unnerve the player constantly. Can you find the mystery behind your captivity and most importantly, can you escape this ordeal? 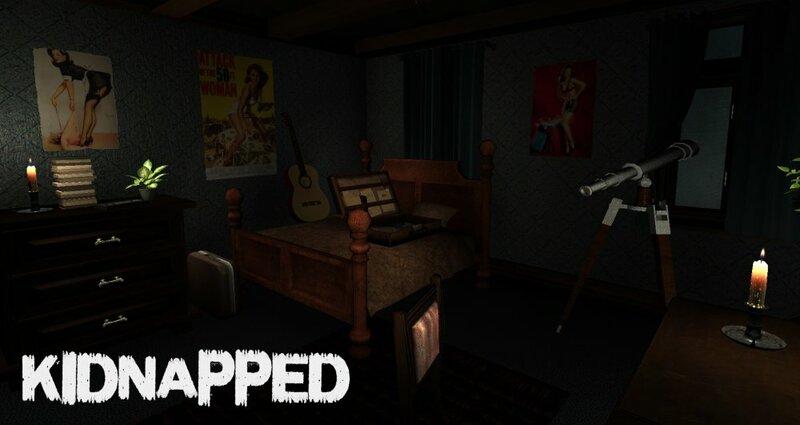 Psychological Experience – Kidnapped has been designed to provide a psychological horror experience. Interactive Environments – A large number of items can be interactive with. Enemies – Multiple enemies including wildlife, such as bears, foxes, stags etc, as well as strange monsters and creatures. You are the hunted, not the hunter. Weaponry – Take aim and arm yourself, if you can find one. Random Encounters – Enemies spawn dynamically and can be located anywhere. Nowhere is safe. Story – Kidnapped’s setting and story is based from actual real life stories of a popular myth lore/legend.